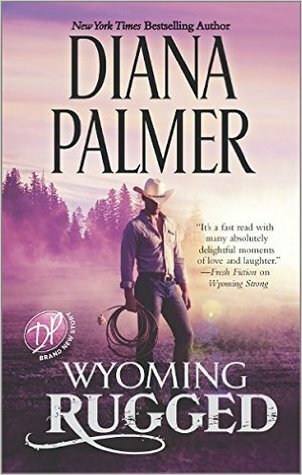 Wyoming Rugged by Diana Palmer is a story that had me debating whether I liked it or not. The heroine love's her father's friend and there is sixteen year age gap between them. Then the majority of the story is spent in yearning on the heroine's part and keep-away signals from the hero which then only take a turn for a HEA at almost the end. While I have many books by Diana Palmer on my shelf, this is the first one that I actually got down to reading and while I have heard so much about the author, this one is definitely not her best work. The writing is good and expressive but it was the repetitions in situations and scenarios that had me feeling bored at times. All in all, Wyoming Rugged by Diana Palmer has a good plot but the execution lacks a bit. Can be read once and will be enjoyed by western romance lovers. 3 out of 5 to it from me. The author has the writing talent and I will be checking out other books by the author in the future.